We recently saw the refurbished Apple iPhone X offered for $630 on eBay, but the seller has decided to slash the prices even further. Now you get last year's flagship device for only $599, which is nearly $200 lower than the retail price for a refurbished iPhone X on Amazon. 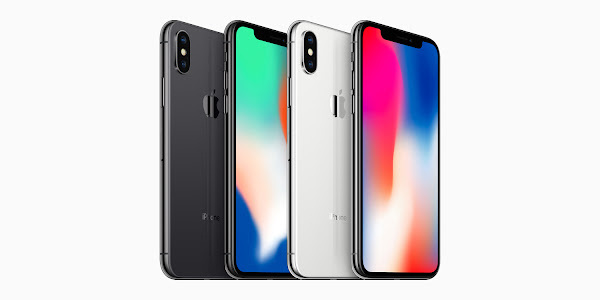 The iPhone X has the same design as the iPhone XS which shares most of its features besides the slightly faster processor. You get 5.8-inch AMOLED display, 64GB of internal storage, dual (12MP+12MP) rear cameras, wireless charging, and the very powerful Apple A11 chipset. The seller has marked the units as "fully functional" and in "a very good condition". The handset is unlocked and will work with all major US carriers like AT&T, Verizon, T-Mobile, and Sprint. You even get a 3-month warranty with your purchase, and if you are not happy with the iPhone X, you can get a full refund from eBay within 30 days of purchase.